But, importantly, the harpoon’s barbs deploy and hold on to the board, preventing it from floating away. “You see the harpoon hit the target in the centre, as expected, and get embedded. The target comes off the boom, but that’s not a problem because the harpoon is tethered; it’s attached to a wire. So all elements worked,” he told BBC News. From old rocket parts to broken fragments of spacecraft – this waste now poses a serious collision hazard to operational satellites that deliver important services, such as telecommunications and weather observations. It has also run the rule over a novel tracking system. This vision-based navigation (VBN) technology essentially tells a hunter spacecraft how its prey is behaving – how it’s moving and even tumbling. To give a sense of scale – the extended boom is about 1.5m in length, and the target board is roughly 10cm along the edge. The target was made from standard satellite panelling – an aluminium honeycomb structure. The experiment was actually done “in the blind”, in a part of the demo satellite’s flight-path that was out of contact with controllers on the ground at Surrey Satellite Technology Ltd, also in Guildford. “We knew that would happen,” said SSTL operator Katie Bashford. In the next few weeks, the satellite will undertake its final test – the deployment of a big membrane to accelerate its fall to Earth. This end-of-mission “drag sail” will catch the residual air molecules at the satellite’s altitude of 400km and pull it down more quickly than would normally be the case. “It’s now really up to our partners in industry as to where they take these technologies,” said Prof Aglietti. 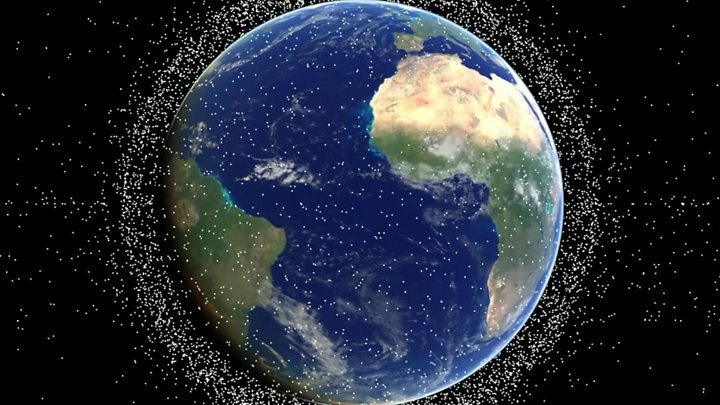 “The space debris problem is a real problem and needs dealing with. 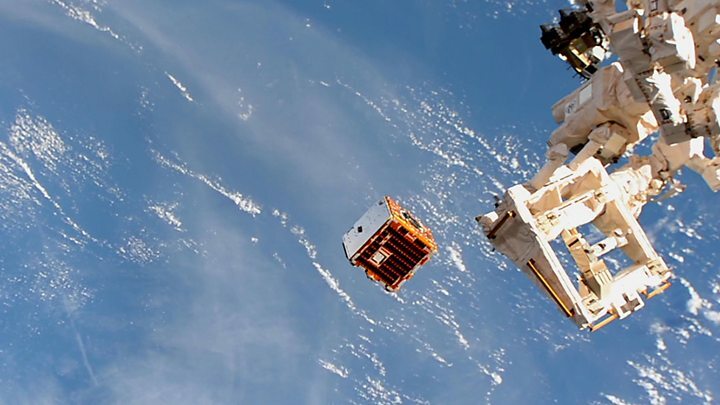 But now that we’ve taken the first step in showing people that there is a viable way of handling objects, we hope that people will take that onboard and run with it,” said Simon Fellowes, from the Surrey Space Centre, and who manages the consortium behind RemoveDebris. That consortium comprises 10 partners from across Europe and South Africa. They put in half the mission cost with the other half coming from the European Commission’s Horizon 2020 science budget.